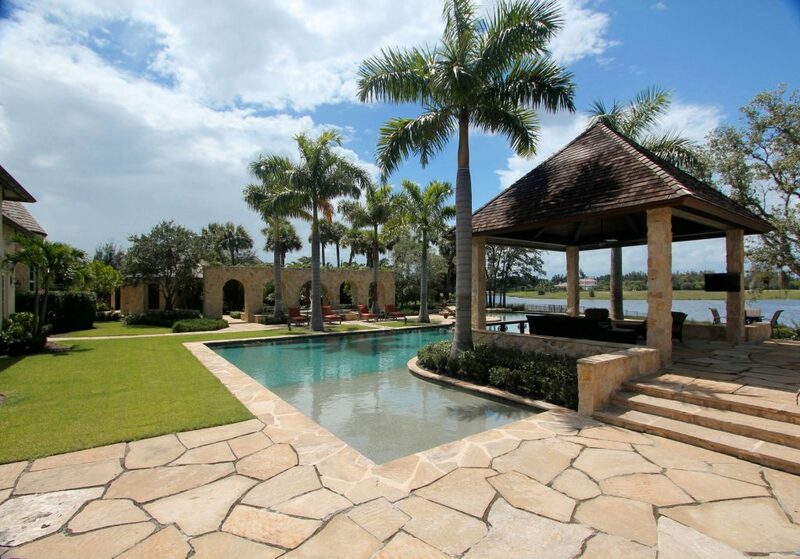 Stone Creek Ranch real estate for sale in Delray Beach, Florida 33446 is one South Florida’s grandest and most exclusive gated estate enclaves providing residents with privacy and a taste of the privileged, old world influenced Palm Beach lifestyle. According to Delray Beach luxury real estate specialists, Carla Ferreira-Smith and Philip Lyle Smith (The Smiths), Broker / Owner and Co-Founders of Luxury Resort Portfolio, The Definitive Source For Luxury Real Estate In South Florida, this magnificent family community in Delray Beach is nestled adjacent to “Millionaires’ Row” in Boca Raton amid 187 acres of picturesque verdant vistas, striking lush landscaping and expansive shimmering lakes. Neighboring some of the preeminent guard-gated neighborhoods of South Florida luxury real estate, the elite estate enclave of Stone Creek Ranch is a few minutes distance from the prestigious Boca Raton communities of Long Lake Estates, Le Lac, The Oaks at Boca Raton and the uber-luxurious yachting mansions within The Sanctuary at Boca Raton. Stone Creek Ranch is the ideal setting for what will ultimately be 37 magnificent custom built estates. The fortuitous homeowners that reside in Stone Creek Ranch, which presently include a register of homeowners from world acclaimed Professional Athletes and Owners of Professional Sports Teams to Global Entrepreneurs and Fortune 500 Corporate CEO’s, luxuriate in custom commissioned one-of-a-kind private compounds that are perfectly set on two and a half-acre or larger opulent lake front home sites. Stone Creek Ranch’s renowned team of South Florida custom home builders: Frankel-Infinity Custom Estates, Monaco Custom Homes, Courchene Development Corporation, Terence Cudmore Estate Homes, Kenco Custom Homes and Charlse – Watt Estate Homes have created masterpiece residences from over $3 million to more than $15 million. Upon arriving at Stone Creek Ranch in suburban Delray Beach, the stately private entryway leads to a gorgeous stone gatehouse. Proceeding through the trees-caped drive your guests are embraced by the community’s signature landmark, a dramatic, triple-arched stone bridge. Scenic walking and biking paths that are a mile and a half long surround the community providing spectacular water views. The ritzy homes in Stone Creek Ranch lie in the heart of South Florida’s Gold Coast between Palm Beach and Boca Raton and just south of the Atlantic Ocean to Intracoastal glamorous waterfront residences of Manalapan and Gulf Stream. Minutes away is Historic Delray Beach’s picturesque Atlantic Avenue (named the “Most Fun Small Town in America” according to USA Today’s Second Annual Best of the Road Competition and Rand McNally) with its’ charming village shops and fine restaurants, Palm Beach Island’s luxury brand boutiques of Worth Avenue, Ft. Lauderdale’s Las Olas yachtsman’s paradises and Miami’s world class nightlife and entertainment along South Beach. Nearby cultural attractions to Stone Creek Ranch include: the Morikami Museum and Japanese Gardens, the Boca Raton Museum of Art, Palm Beach’s Henry M. Flagler Museum, Norton Museum of Art, and the Kravis and Broward Center’s for the Performing Arts. Exquisite Gold Coast beaches, the newly opened Delray Marketplace and Mizner Park are all close at hand as well. Stone Creek Ranch is conveniently located between Ft. Lauderdale and Palm Beach International Airports, and only a short drive to the Boca Raton Private Executive Airport. 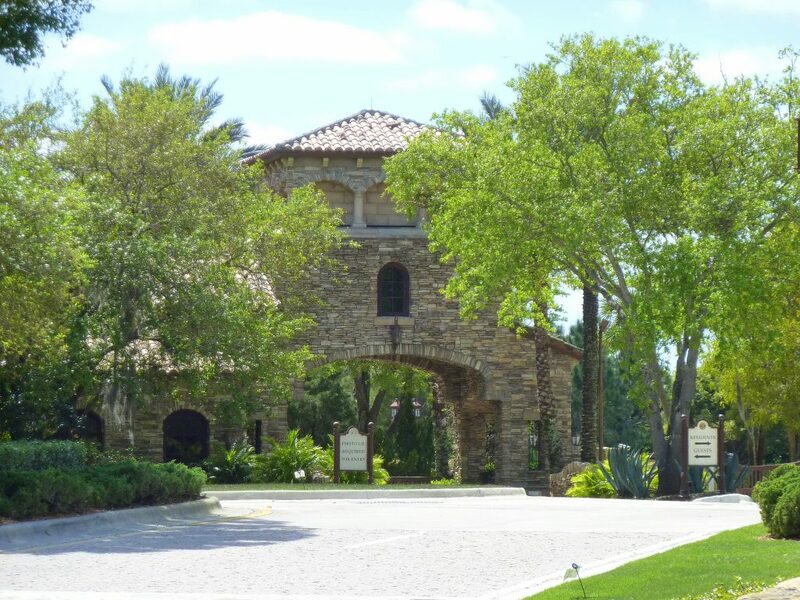 The sporting lifestyle is abound for the residents of Stone Creek Ranch with its’ proximity to exclusive South Florida golf course communities such as St. Andrew’s Country Club, Royal Palm Yacht and Country Club and The Bears Club in Jupiter, Florida as well as the Delray Beach Country Club homes and fairway estates of Mizner Country Club and Addison Reserve. Stone Creek Ranch’s convenient South Florida locale is a mere minutes from the world renowned Boca Raton Resort and Beach Club, a Waldorf Astoria Resort, the International Polo Club of Palm Beach in the Village of Wellington and the Delray Beach Tennis Center that plays host to numerous championship and celebrity tennis tournaments throughout the year. Dolphins, Marlins, Heat and Panthers home stadiums are all within one hours drive as well. If you are interested in purchasing the next home of your dreams in the prestigious and celebrated lake front enclave of Stone Creek Ranch in Delray Beach, Florida, then allow Luxury Resort Portfolio to present to you 16011 Quiet Vista Circle in Delray Beach, Florida 33446; an exclusive offering of a magnificent 20,132 SqFt custom built French country inspired Estate for sale from world renowned architect Carlos Martin and nationally acclaimed custom home builder Frankel Estate Homes. This impeccable suburban Delray Beach, Florida family oriented compound within the guard-gated surroundings of Stone Creek Ranch was designed to surpass all expectations and couples classic European aesthetics with traditional, rustic French architecture. 16011 Quiet Vista Circle in Stone Creek Ranch exudes understated opulence and embodies customized features and old-world craftsmanship that rival any first class European Chateau. This regal home boasts phenomenal first-class, 5 star, resort style amenities which include a generously sized Master Suite with individual His / Her Baths and custom fitted Spa Room oasis replete with private outdoor Jacuzzi; a Chef’s Gourmet double island Kitchen; oversized Pub & Billiard Room; Wine Cellar; Fitness Room & Exercise Gym; Home Theater; Arcade & Game Room; one of South Florida’s largest residential Swimming Pools with cascading waterfalls and flowing aqueducts; numerous covered and uncovered outdoor Entertaining Areas and Loggias; al fresco Summer Kitchen, Full Bar and Pizza Oven; Sports Pavilion and a lighted Tennis Court. 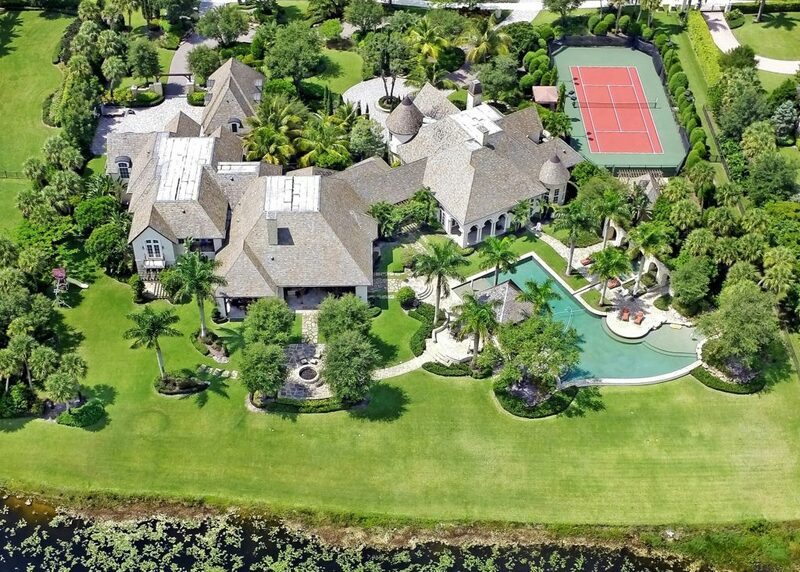 This slice of the classic European countryside in the heart of Southern Palm Beach County, Florida sprawls over more than two acres of lavish resort sculpted lake front grounds created to impress by distinguished landscape architect Krent Wieland Design. Acquiring and enjoying this Stone Creek Ranch real estate is the finest way to spend time with family and friends… generating memories of a lifetime! If you are interested in previewing any of the prominent estates comprising The Smiths unprecedented Luxury Resort Portfolio, receive additional information for any listed property in South Florida or gain maximum Global Marketing Exposure for your residence culminating in the sale of your property, Philip and Carla would welcome the opportunity to be of service to you. It is with great pride that Luxury Resort Portfolio and Philip Lyle Smith and Carla Ferreira-Smith offer to you their superb client services. 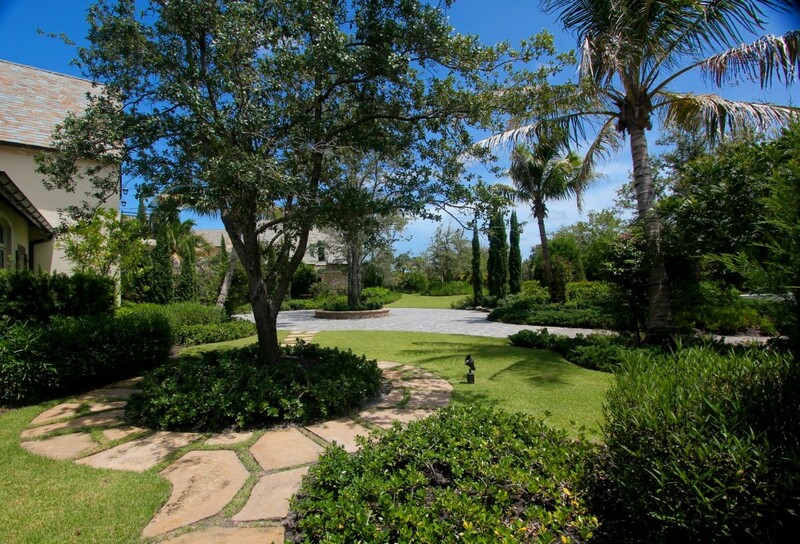 This entry was posted in Luxury Resort Portfolio Lifestyle Guide - The Art Of Living Well, Uncategorized and tagged 16011 Quiet Vista Circle, Boca Raton Waterfront Real Estate, Carla Ferreira-Smith, Delray Beach, Delray Beach Luxury Real Estate, Florida 33446, Gulf Stream, Haute Living Magazine, Haute Living Real Estate Network (HLRN), Haute Residence, Le Lac, Long Lake Estates, Luxury Resort Portfolio, Manalapan, Palm Beach Lifestyle, Philip Lyle Smith, Stone Creek Ranch, The Sanctuary at Boca Raton, The Smiths on October 27, 2015 by Luxury Resort Portfolio.